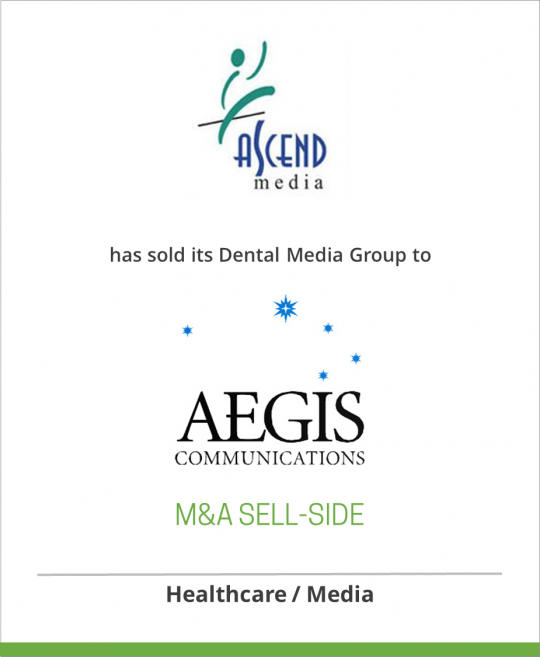 Ascend Media is a diversified business media company that owns and operates professional magazines and journals; organizes trade shows, conferences and educational programs; and maintains online properties and databases serving the medical and healthcare industry. In the medical, custom event media and allied healthcare industries, the company publishes more than 30 journals and magazines and serves more than 40 medical associations with daily newspapers, directories and marketing programs, as well as organizes continuing medical education programs and symposia. Ascend Media was formed and incorporated in 2002. The company is financially backed by two of the world’s most prestigious private equity firms, CCMP Capital (formerly J.P. Morgan Partners) and Veronis Suhler Stevenson. Ascend Media is headquartered in Overland Park, KS. For additional information: www.ascendmedia.com.